I have a confession to make. Even though I’m a real foodie to the core….I have a dirty secret. 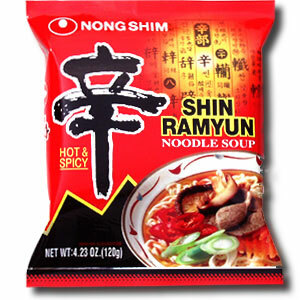 I love Shin Ramyun Hot n’ Spicy. This is no ordinary ramen noodle processed food product. It’s shameful deliciousness. 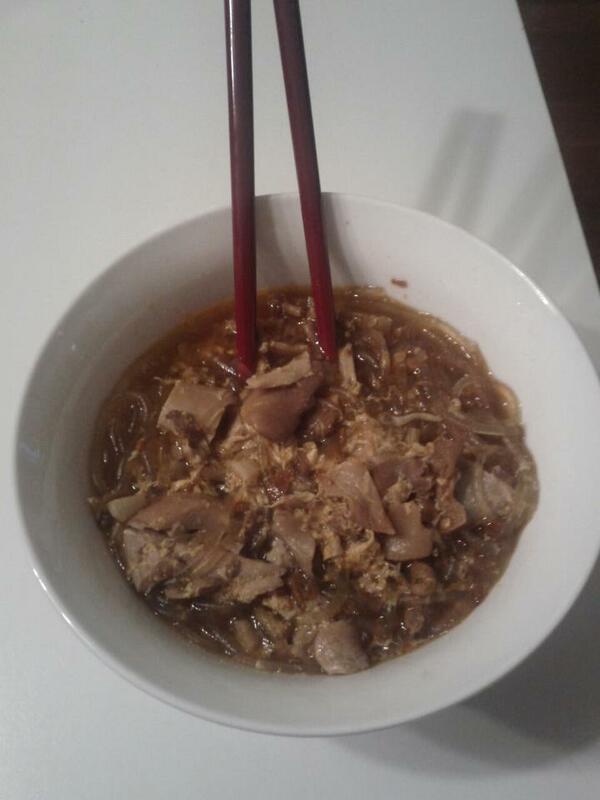 It’s Korea’s favorite ramen, and mine too. In fact, the only ramen I would even eat. And hey, I was making it with homemade chicken stock and adding good stuf like free range chicken. That redeems something, right? My desire to make this addiction more tolerable has led to me to try to reproduce it at home without the gluten, soy, MSG, etc., and whatever other nasty crap is in it. So I found this recipe and ofcourse, modified in true KKF style. Cook noodles in boiling water for 5 minutes. Rinse with cold water and cut into more manageable pieces if they are really long. Melt coconut oil and saute garlic for a few minutes, then add the red pepper flakes, soy sauce and mushrooms with the liquid you reconstituted them in. Boil for a few minutes, then add the stock. Bring to a boil, add gochujang, salt and Ponzu sauce. Add chicken, bring back to a simmer and whisk in the beaten egg, if using. Simmer for 10 minutes, add the noodles and simmer for another 4-5 minutes until everything is heated through. Grab yourself some chop sticks and dig in!